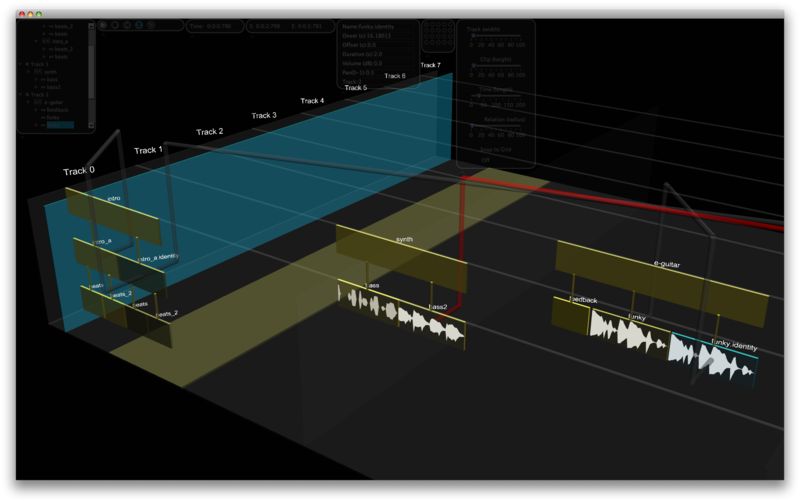 FrameWorks 3D is a prototype audio sequencing application written in Java using novel extensions to the standard multi-track tape analogy in order to create a more fluid environment for music composition. 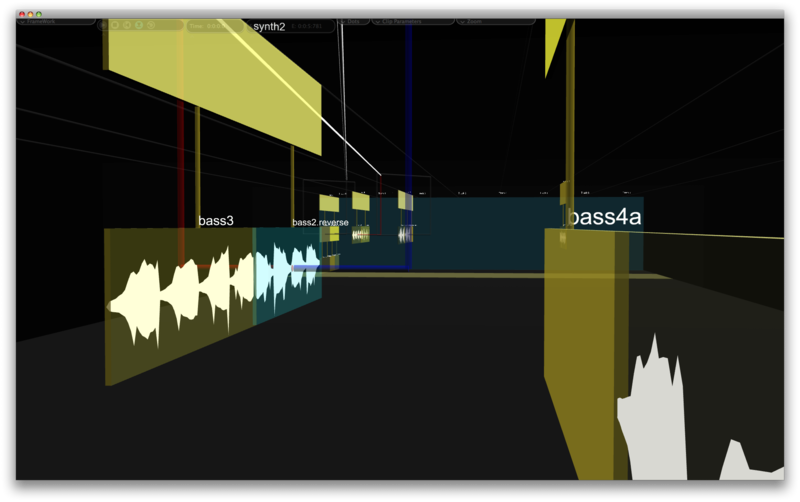 A 3D user-interface presents the audio sequence, allowing complex musical structures to be navigated and manipulated by the composer – seeing their music in new ways. 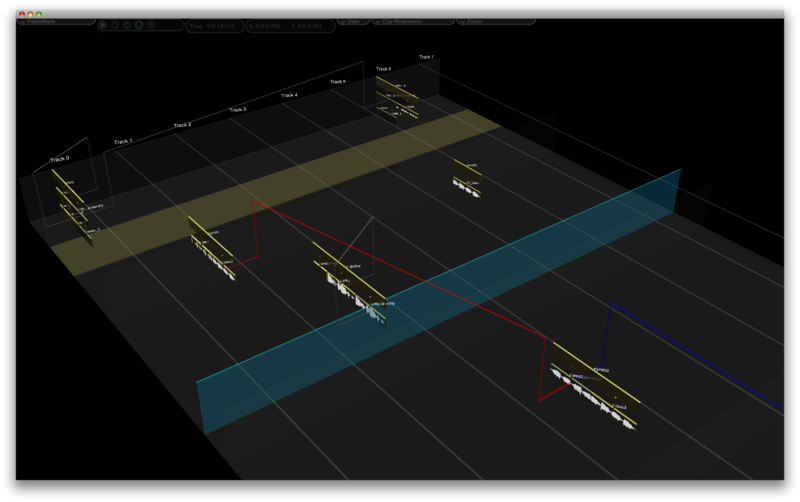 FrameWorks is currently in development and an experimental version will be available as a free download. ‘FrameWorks 3D: Adding Fluidity to Computer-Based Notation’ (Polfreman R.). At, Off the Staves. Writing Music Before and After Conventional Notation, Bangor, UK, 26-27 Mar 2010. ‘FrameWorks 3D’ (Polfreman, R.) At, eScience for Musicology, Edinburgh, UK 01 – 02 Jul 2009. ‘Role-reversal: Max/MSP as an Audio Engine for Java’ (Polfreman,R. ), In Proceedings of the 2009 International Computer Conference (Montreal: ICMA, 2009), 435-438. ‘FrameWorks 3D: Composition in the Third Dimension’ (Polfreman,R.). In Proceedings of the 9th International Conference New Interfaces for Musical Expression (Pittsburgh: Carnegie Mellon University, 2009), 226-229. ‘Supporting Creative Composition: the FrameWorks Approach’ (Polfreman, R.). In Les Actes des 8e Journées d Informatique Musicale (Bourges: IMEB, 2001), 99-111.